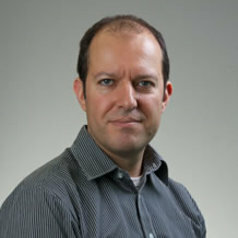 Professor Ben Zissimos joined the Department of Economics in July 2012. He received his BSc in Economics with International Trade and Development from the London School of Economics, and his PhD in Economics from the University of Warwick. Prior to joining the University of Exeter, Professor Zissimos spent most of his career at Vanderbilt University, with briefer spells working at the Universities of Bath, Birmingham, Oxford and Warwick. His research concerns institutions, international economic policy and economic development. The current main focus of Professor Zissimos’ work is on the policies and institutions of international trade and how they can promote or retard the process of economic development. Professor Zissimos is the founding director of the InsTED Network http://blogs.exeter.ac.uk/insted/, the aim of which is to better understand the role of institutions, both domestic and international, in the process of economic development.